It was a beautiful day to hike…I mean go cross country skiing. It’s the thing to do around here in winter, so I let my friends take me out to learn a new skill. Teacup Lake sounds so quaint and proper and cute. I looked forward to a delightful day in the snow. As it turns out, I’m not much of a natural on skis. I’m sure that’s not unusual, but for some reason I thought it would be easier. Must have been all those images in my head of old people gliding so gracefully along on their skis. It didn’t occur to me that perhaps they had decades of practice behind them and I only had an hour or two. Shoot, this was much more awkward and difficult than I thought. Take a good look. You’re not going to be seeing much of this ?. Here’s my beef with cross country skiing: you have to stay on groomed trails. What’s the point of that? 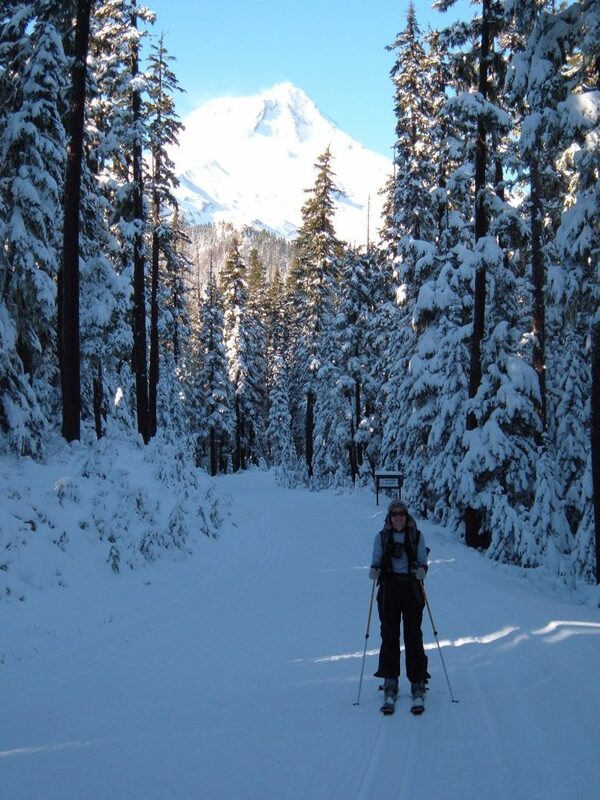 We skied along a wide, flat path that had been nicely groomed before our arrival. Seemed a bit pretentious to me. Where’s the sense of exploration? Where are the downed trees to crawl over? Where are the steep hills, the iced-over creeks, the curious side paths? I think I’ll stick to snowshoeing. Sure, it’s slower, but it’s way more interesting. 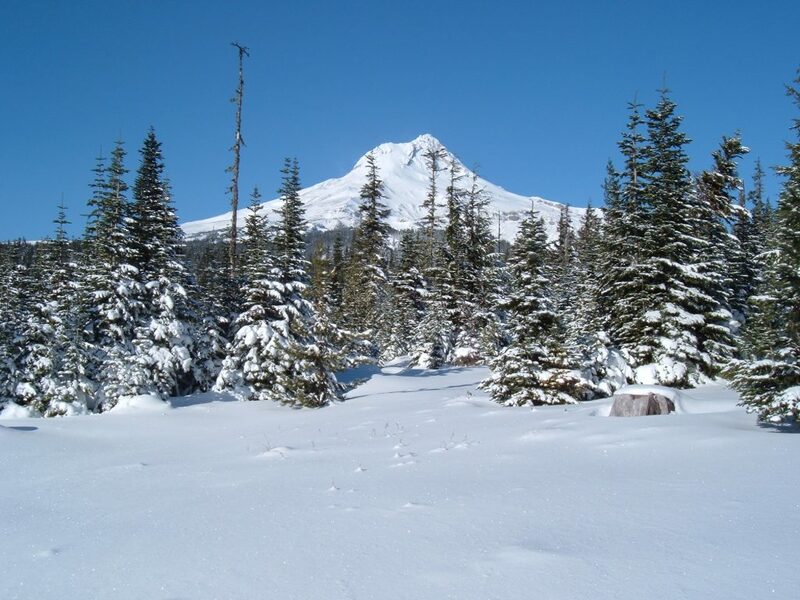 This entry was posted in Hiking, Oregon and tagged hike366 on December 17, 2008 by Jess B.